LONDON (Reuters) - The European Central Bank will eclipse all else in economic terms this week, following heavy hints that monetary policy will be loosened in a variety of ways. Financial markets have been buoyed by the prospect of cheaper money in the euro zone and would react sharply if the central bank does not deliver on Thursday. Its policymakers have done nothing to disabuse investors of the notion of imminent action. 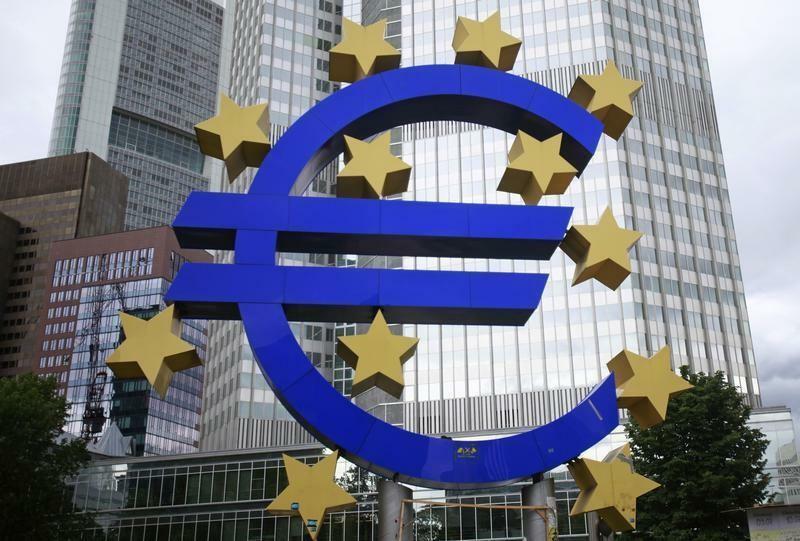 A clutch of senior sources told Reuters earlier this month that the ECB was preparing a package of policy options for its June 5 meeting, including cuts in all its interest rates and targeted measures aimed at boosting lending to small- and mid-sized firms (SMEs). Action being readied includes taking the ECB's deposit rate negative for the first time - effectively charging banks to park money at the central bank in the hope they will lend it out instead. The ECB insists it sees no threat of deflation but euro zone figures for May, due before it meets, are forecast to show inflation at just 0.7 percent. That is within what ECB President Mario Draghi has termed the "danger zone" below 1.0 percent for the eighth successive month. "We are aware of the risks of a too prolonged low inflation period," Draghi told an ECB conference outside Lisbon last week, adding that he and his colleagues had to be "particularly watchful" for any negative price spiral. At the last policy meeting in May, Draghi said the ECB was comfortable with acting in June if updated staff forecasts merited - as close as a central banker gets to a nod and a wink. "Draghi’s May press conference raised market expectations of action, and the ECB will want to appear bold," said Nikolaus Keis, economist at Unicredit. "The risk is that monetary conditions may quickly start tightening anew if the ECB’s moves are perceived as too timid." What is not yet on the cards is the ECB following the Federal Reserve and Bank of England down the road of printing money. The British central bank delivers its latest policy decision on the same day as the ECB. While it is too early for an interest rate rise, a now strong economic recovery and a housing market running hot are dismantling the consensus that no tightening is in prospect until next year. "There are clear indications in the May minutes that some of the more hawkish MPC (Monetary Policy Committee) members are starting to get twitchy," said Howard Archer, Chief UK & European Economist at IHS Global Insight. India's central bank meets for the first time since Narendra Modi's landslide election win. Reserve Bank of India (RBI) chief Raghuram Rajan has hiked interest rates three times since he took office in September, in an attempt to corral stubbornly high inflation even as economic growth slowed to decade-low rates. Investors expect Modi to bring down inflation by cutting subsidies, improving food distribution and promoting investment in infrastructure, breaking years of policy stasis. The market consensus is that the RBI will now keep its repo rate at 8.0 percent until at least January. The monthly U.S. employment report, rarely anything other than the most important global economic indicator, is on Friday. A Reuters poll of economists forecast 220,000 jobs will have been added in May, putting the jobless rate at 6.4 percent. Data last week showed the U.S. economy contracted in the first quarter for the first time in three years as severe winter weather bit, but there are signs activity has since rebounded. Minutes of the Federal Reserve's last meeting showed first discussions about an eventual retreat from near-zero interest rates after it finishes winding down its money creation program. The Fed's policy committee meets next on June 17/18. The minutes showed some divergence of views about the state of the labor market but general agreement that any sustained uptick in inflation may still be years away. "With domestic measures of economic slack elevated and current readings of inflation pressures well below Fed targets, the Fed’s current accommodative stance is fully appropriate," said Gilles Moec, economist at Deutsche Bank. "However, we expect these data, particularly inflation, to change meaningfully over the course of the year." Leaders of the Group of Seven nations meet in Brussels on Wednesday and Thursday, but a decisive Ukrainian election result and signs Moscow has pulled back from direct intervention in the restive east of the country mean any talk of the more sweeping sanctions against Russia that had unnerved emerging markets are likely to be firmly on the backburner. Were Hedge Funds Right About Souring On Six Flags Entertainment Corp (SIX)?